The Sylvestrins Chamber Choir and Ensemble present "La France Galante" - an evening of French sacred courtly music from the period leading up to the start of the French Revolution in 1789. The centrepiece of the concert will be the wonderful and elegant Messe des Morts (Requiem) by André Campra. We are pleased to offer refreshments in the interval for which we will appreciate an appropriate donation. 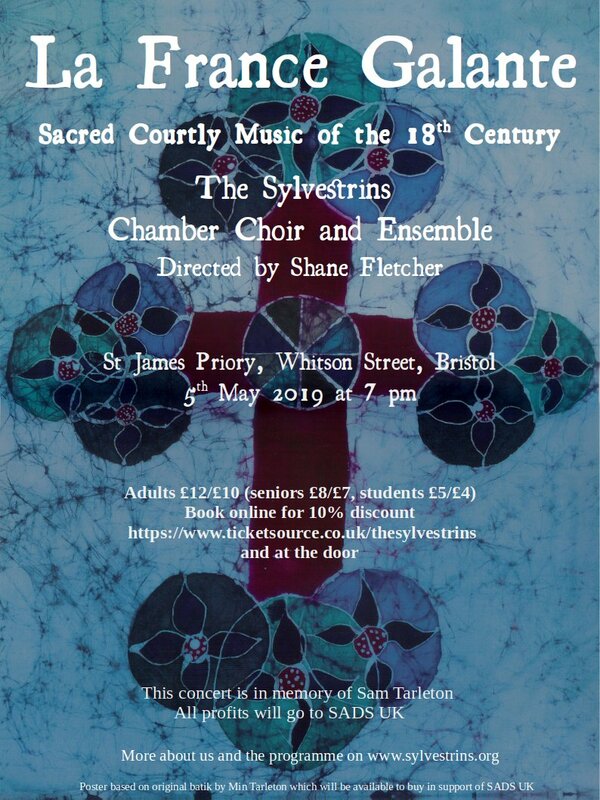 This is the third concert by The Sylvestrins in St James Priory in memory of Sam Tarleton who died in 2014, and all proceeds from the concert will go to support SADS UK.